Desert Mountain is currently building a new community called “Seven Desert Mountain”. This luxury community is unlike anything else in Scottsdale. A total of 190 homes will be built around a 18-hole executive golf course. 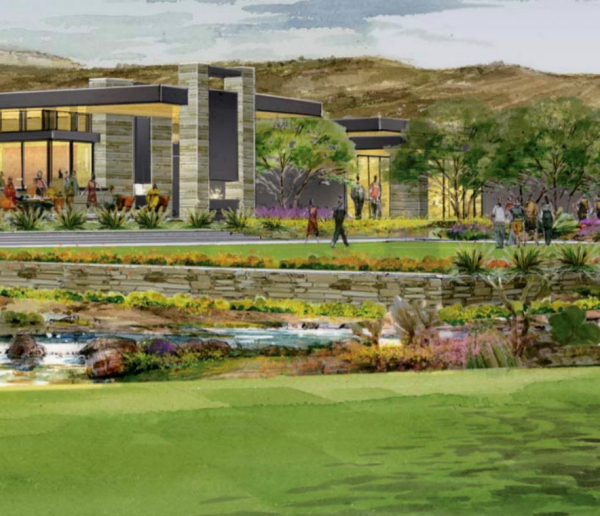 “Seven” will be the seventh golf course and clubhouse at Desert Mountain. All of the homes will be designed with contemporary desert architecture. The whole community and clubhouse will have modern architecture with a desert flair. Most of the new homes will have golf or fairway views. There are only 3 out of 190 homes that will not be on the golf course. All homeowners will become either Lifestyle or Golf Members of Desert Mountain (subject to Desert Mountain Club approval). 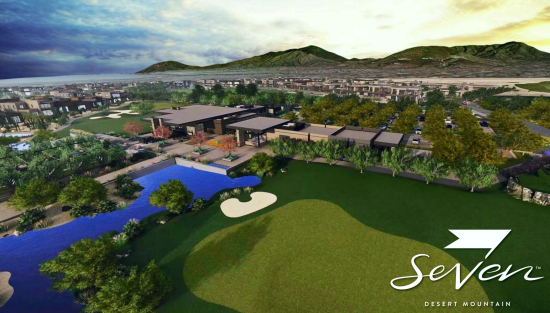 They will have access to all the world class amenities at Desert Mountain including 7 golf courses, 7 clubhouses, restaurants, newly renovated Sonoran Spa and fitness center, tennis complex with grass, clay and hard courts, and private hiking trails. Sales are projected to start summer 2018 and it will open in early, 2019. The project is specifically designed for seasonal homeowners who want low maintenance. The front yard landscaping and irrigation will be maintained by the home owners association. The homes will be perfect “lock-and-leave” residences for out of state homeowners. The HOA dues have not be determined yet but are estimated to be $350-450/month. All the homes in Seven Desert Mountain will be built by three builders. The builders include Cullum Homes, Camelot Homes and Family Development. The homes will range from single level condos with garages, to large two-story homes with basements. The prices are expected to be from $1 Million to $3.5 Million. Homes will range in size from 2300 to 6500 square feet. Cullum will build some of the most expensive homes within The Village at Seven Desert Mountain. The 33 luxury residences will range from 3000-8000 square feet with high end finishes. Available floor plans will range from single level to two level homes, as well as the option to build a basement entertainment level. One of the basement options is envisioned as a “19th Hole” entertainment zone with a golf simulator, glass enclosed collector car showroom, home theater and bar. Homes can accommodate 2-7 cars depending on the options selected. A detached casita option will also be available on select lots. The Cullum homesites are adjacent to the 13th hole of Renegade and will have extensive golf and mountain views. The homesites range from 8000-13,000 sq ft. Prices have not been released but are projected to be approximately $2 million-3.5 million. Camelot will build The Villas at Seven Desert Mountain. These 2600-4500 sf detached luxury patio homes will be built to the highest standards that Camelot is well known for. Floor plan options will range from 2 bedroom/2.5 bathroom single level to 4 bedroom/4.5 bathroom 2 level, 3 car garage homes. The two story plans will also have an elevator option. There will be a total of 49 villas built on homesites ranging from 6500-8000 sq ft. These homes will be the intermediate priced option within Seven. Residences are predicted to be priced at $1-2.5 million. 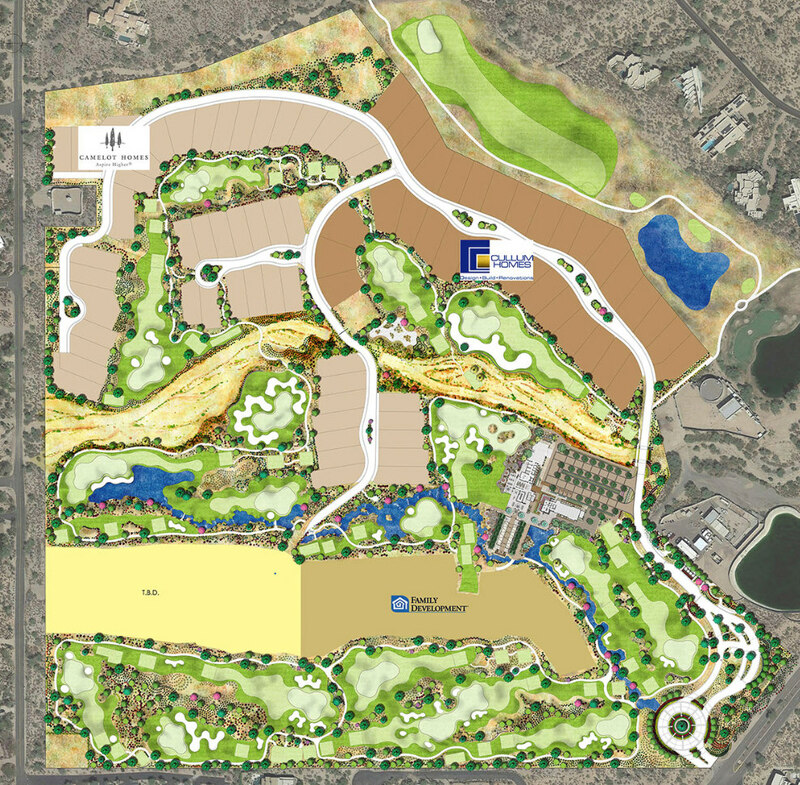 Family Development will build The Retreat at Seven Desert Mountain. These will be the most affordable residences within Seven Desert Mountain. Residences will be single level condos or “stacked flats” in two story buildings. Available floor plans range from 2300-2700 square feet. There will be 5 units per building. Each building will have 2 lower level units and 3 upper level units. Every residence will have a 2-2.5 car garage. The upper level units will have private elevators. Prices are projected to start close to $1 million. The new Seven golf course will be a 18-hole par 54 short executive course. It is designed so that a golfer can complete a round in under 2 hours. There will be 3 tees per hole and the course will be over 3000 yards so that it can be rated by Arizona golf association. It will be one of only two private par 54-rated courses in the United States. It is expected to attract a great deal of interest among golfers of all ability levels. It is part of a national movement to build family-friendly golf courses, inclusive for golfers of all ages and skill levels. Only the highest quality bent grass will be used on the tees and fairways. This is the highest level of grass condition possible, giving the best playing surface for members. The course is designed for fun with a lighted putting green, seating areas and music emanating from the clubhouse onto the fairways. It will be a lively, entertaining experience. The clubhouse is quite simply built for fun. It will be a family-friendly environment with a sports bar theme, seating 150 people inside and out. There will be large patios for dining and entertainment. The roll up walls will emphasize the indoor-outdoor ambience. It will feature a 30 seat bar, 24 TVs, 5 fire pits, 2 fireplaces and 2 bocce ball courts. Members at Desert Mountain are eagerly awaiting the opening of this fun new venue.